Higgenbotham Auctioneers, the premier firm for Real Estate Auctions! Click here to see our current Real Estate Auctions. Higgenbotham Auctioneers, featuring some of the best online auctions! Higgenbotham Real Estate is a complete real estate solutions company assisting clients with traditional business, real estate sales & leasing. HRE assists commercial and investment clients in the evaluation and purchase of properties and businesses to suit their needs and investment requirements. We have experience in all aspects of commercial sales, leasing, management, evaluation, 1031 exchanges, self directed Individual Retirement Accounts, etc., for Office, Industrial, Multi-Family, Retail, Farming and Land Development projects. Interested in Staying Up to Date with Our Auctions? Sign up below to receive our email auction updates. Click the link below to view our properties available for online bidding, or download our app for your phone. Select a property to bid on. Click the red button that says “sign-in”, you can select the “sign up” and follow the instructions. You will need a valid credit card, and please complete All fields in registration and don’t forget your Username & Password. It will be the same for any and all sales you wish to bid on. Please read all of the terms & conditions of use and bidding. 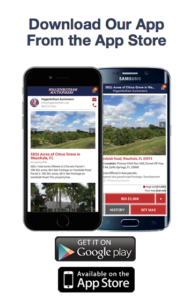 Higgenbotham Auctioneers International is a premier, full service Auction Company specializing in the sale of commercial and residential real estate through the auction method. Since 1959, we have conducted thousands of auctions across the United States and several foreign countries. We bring our years of experience in auctioning homes, land, condominiums, industrial properties, retail buildings and development sites to help private individuals, corporations and financial institutions sell their property. In addition, we can assist you with liquidating estates, antiques, equipment and firearms collections. The auction and sale of these 24 single family residences brought 40% more for this portfolio than the independent market appraisal we obtained for each property in total, which is far higher than we anticipated. The RRHA and City of Richmond are very pleased with these results and will deliver over $1.4 million dollars to the RRHA’s very much needed housing and maintenance programs.